Online applications are invited from the intending eligible candidates who are Citizens of India having registration in the Employment Exchange of the State of Assam, for filling up of 945 Nos. of existing vacancies under the Department of Panchayat and Rural Development as indicated below. Total number of vacancies in various posts = 945 Nos. a) The Candidate must be Indian Citizen, ordinarily resident of Assam. b) (i) The candidate should not be less than 18 years and more than 43 years as on 01.01.2017. The upper age limit is relaxable by 5 years for ST/SC candidates. (ii) In case of Ex-Serviceman, age limit is relaxable by two years. (iii)The age limit of the candidates will be calculated on the basis of the Matriculation/HSLC Admit Card/Certificate issued by a recognized Board/ Council, and no other document shall be accepted in lieu thereof for the purpose. c) In case of contractual/casual employees of the Panchayat & Rural Development Department, relaxation of age as per point No 10 (B) of the advertisement. 2. For SC/ST/OBC – Rs.150/- (Rupees one hundred fifty) only. (Certificate from the competent authority i.e. Deputy Commissioner/Addl. Deputy Commissioner/Asstt. Commissioner/Sub Div. Officer (C )/ Circle Officer/Block Development Officer will only be accepted. Fees should be deposited through online only. There will be negative marking of ½ mark for each wrong answer. Candidates will use black ball pen to answer the OMR based answer sheet. Duration of the test will be of 3 (three) hours. CANDIDATES ARE REQUIRED TO APPLY THROUGH ONLINE MODE ONLY, NO OTHER MODE FOR SUBMISSION OF APPLICATION IS ALLOWED. 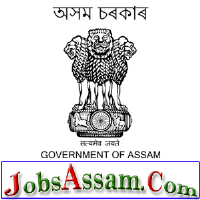 a) Instructions for filling up online form will be available in the departments Website www.rural.assam.gov.in Candidates are advised to carefully go through the instructions provided in the above website while filling up forms. b)Online form may be filled up w.e.f. 10.00 AM of 22.12.2017 to 12.00 Midnight of 16.01.2018 21/01/2018 only. No application can be filled up after expiry of the given time as the link will be disabled.